A new timber house for a garden backland site situated within a context of existing workshops, sheds, ancillary structures and established trees. 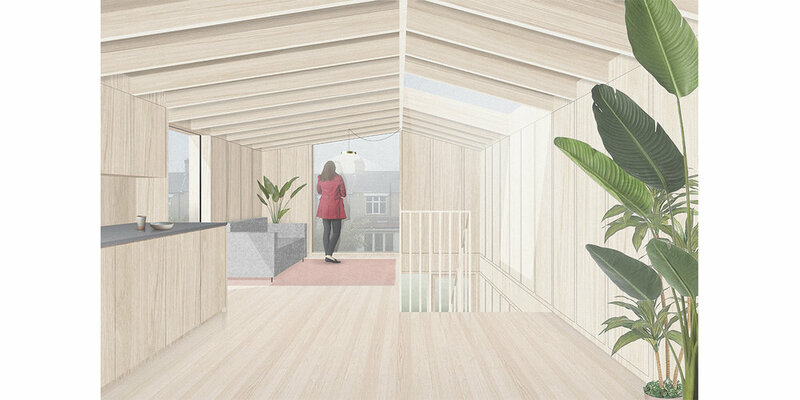 The house has been designed with generous roof lights and a careful composition of openings to maximise natural light. A formal language of horizontal datums and vertical fins responds to the immediate context of the house and reflects an ambition to pre-fabricate the building envelope to minimise disruption during construction.